Provides news articles covering topics including government, politics, social issues, culture, discoveries, inventions and more from hundreds of primary sources that enable students and teachers to explore virtually every topic or aspect of American history and culture between 1690 and 2000. Three learning levels to choose from - elementary, middle, and high. Find excellent background information about any topic. Features full text for thousands of primary source documents and informational texts. Contains more than 40,000 images, including maps and historical photos and over 56,000 historical documents. New York Times Archives provides online, easily-searchable first-hand accounts and unparalleled coverage of the politics, society, and events of the time. Good for primary source images and news articles. 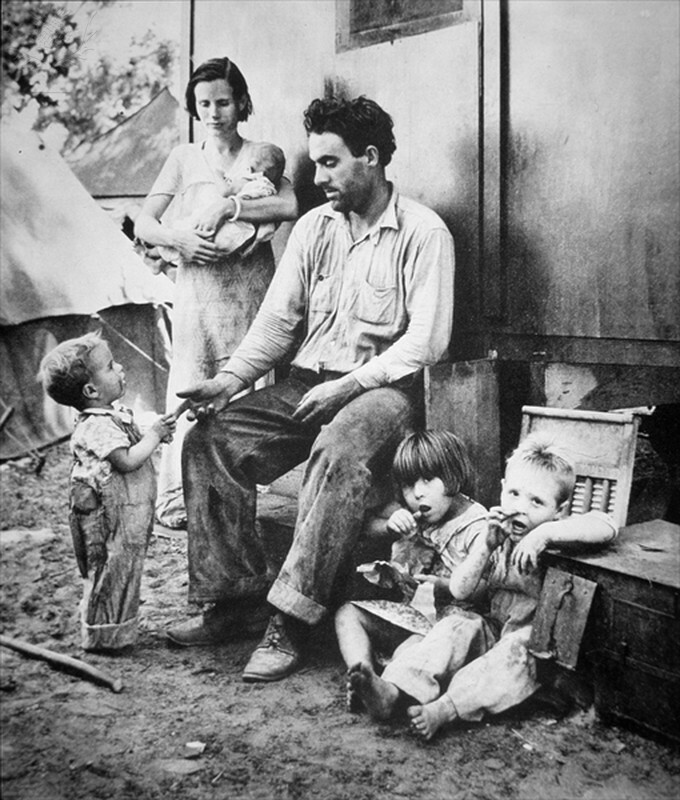 Farm Worker And Family On The Road, Seeking Employment And A Place To Live, 1938 . Fine Art. Encyclopædia Britannica Image Quest. Web. 2 Jan 2012. Drawn from the letters and oral histories of three thousand men and women to tell the story of the boxcar boys and girls who left home during the Great Depression in search of jobs or adventure. 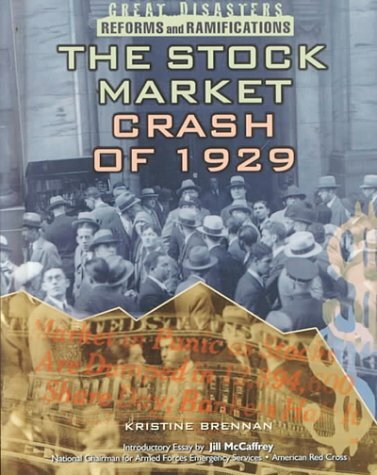 Chronicles the stock market crash of 1929, what led to it, the Great Depression that followed, and measures that were taken to prevent another such crash. Primary documents and commentary help argue the pros and cons of a variety of key issues which shaped the presidencies of Herbert Hoover, Franklin D. Roosevelt, and Harry Truman. Profiles the life and career of President Franklin Delano Roosevelt, his childhood, personal struggles with polio, and how he led the country through the war years; and includes twenty-one related activities for kids. A biography of the first wife of a president to have a public life and career of her own. Describes the plight of the migrant workers who traveled from the Dust Bowl to California during the Depression and were forced to live in a federal labor camp and discusses the school that was built for their children. A history of the great variety of art which was produced in the U.S. during the Great Depression. Describes the major American events and people of the 1930s. Studies the effects of the Great Depression and World War II on American society, discussing the economic crisis of the 1930s, the effect of the Depression on cities and rural communities, and the social and economic reforms brought about by the New Deal; and argues that the country was saved by entering the war. Examines what daily life was like for ordinary people in the U. S. in the 1920s and the 1930s, discussing the impact of automobiles, electricity, radio, cinema, conflict and crime, the standardization of culture, the Great Depression, and the New Deal on the lives of American citizens. 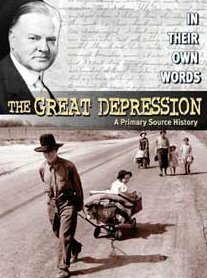 Presents a short history of the Great Depression, and discusses the stock market crash of 1929, unemployment, pre-war and war years, and more. Recounts the experiences of six families and they communities as they struggle to survive the dust storms that terrorized America's High Plains during the Great Depression. Examines the causes of the Dust Bowl, discusses its effects, and provides primary source quotes and photographs. Showcases 225 works from the Smithsonian American Art Museum collection, and includes essays that link the art with the U.S. pageant of history. Presents biographical profiles of twenty-nine men and women who played key roles in the governmental and social responses to the economic crisis of the Great Depression. Recounts the tale of Seabiscuit, a knobby-kneed little colt that no one expected great things from who went on to become one of the most celebrated racehorses of all time. 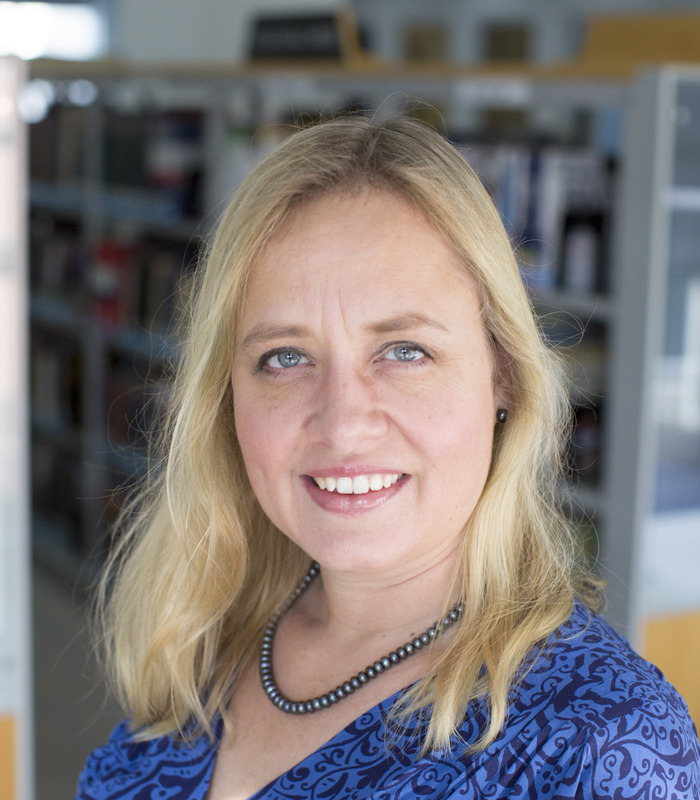 Profiles one hundred notable women from throughout history, including politicians, royalty, authors, and entertainers, describing their lives and achievements; those profiled include Sappho, Joan of Arc, Eleanor Roosevelt, Virginia Woolf, and Aung San Suu Kyi. 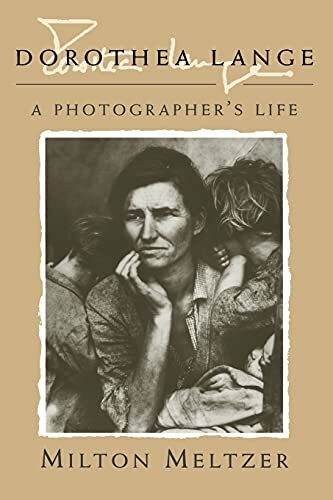 A biography of the photographer best known for her photographs of rural Americans who were victims of the Depression of the 1930's. Contains photographs and essays that highlight the careers of twelve American photographers whose work has influenced the course of history, including Matthew Brady, William Henry Jackson, Edward S. Curtis, and Dorothea Lange. Presents an exploration and assessment of the Art Deco style of the 1920s and 1930s as seen in American architecture, sculpture, furniture, textiles, ceramics, silver, graphic arts, and jewelry. Photographs and text detail a history of women's accomplishments and contributions in geography, and features information on Marguerite Harrison, Blair Niles, Gertrude Mathews Shelby, Amelia Earhart, Ann Cottrell Free, Sally H. Clark, Jane Goodall, and others. Tells the life story of aviator Amelia Earhart, discussing her difficult childhood, her start as a pilot, her rise to fame, and her disappearance in 1937. Presents a series of newspaper articles on the dust bowl migration the swept through rural California, written by John Steinbeck for "The San Francisco News" in 1936, three years before he published "The Grapes of Wrath. "Based on the special fiftieth-anniversary edition of the novel, which reproduced the original text published in 1939 by the Viking Press"--p. li. ;Includes bibliographical references (p. xlv-l). The saga of a family in 1939 that struggles through the Great Depression by laboring as Dust Bowl migrants. As he did for frontier children in his enormously popular Children of the Wild West, Russell Freedman illuminates the lives of the American children affected by the economic and social changes of the Great Depression. Middle-class urban youth, migrant farm laborers, boxcar kids, children whose families found themselves struggling for survival . . . all Depression-era young people faced challenges like unemployed and demoralized parents, inadequate food and shelter, schools they couldn’t attend because they had to go to work, schools that simply closed their doors. Even so, life had its bright spotslike favorite games and radio showsand many young people remained upbeat and optimistic about the future. Drawing on memoirs, diaries, letters, and other firsthand accounts, and richly illustrated with classic archival photographs, this book by one of the most celebrated authors of nonfiction for children places the Great Depression in context and shows young readers its human face. Endnotes, selected bibliography, index. Explores and analyzes the historical context and significance of the iconic Dorothea Lange photograph. Concentrates on key areas of women's lives, such as their role in the family and in the workplace, during the Great Depression. This website hosts primary sources (images, maps, and documents) to better understand the problems faced by many different groups during the Great Depression and Dust Bowl. History holds many economic lessons. The Great Depression, in particular, is an event that provides the opportunity to teach and learn a great deal about economics— whether you’re studying the economic reasons that the Depression took place, the factors that helped it come to an end or the impact on Americans who lived through it. This curriculum is designed to provide teachers with economic lessons that they can share with their students. This website is a great summary of the events that lead up to the Great Depression, the causes of the Great Depression and the impact that the stock market crash had on the American economy.